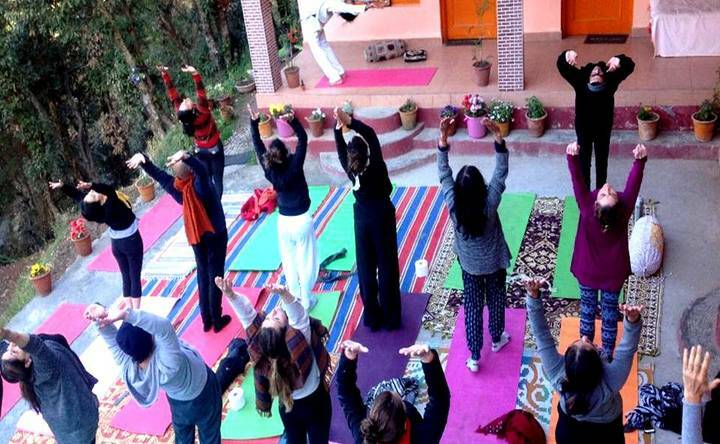 The 200 Hour Yoga Teacher Training program at Om Yoga Ashram is appropriate for anyone at a beginner or intermediate and advanced level of yoga. The Yoga Alliance certification received on successful completion of the course allows you to teach yoga anywhere in the world. Whether you want to pursue yoga teaching as part of a career or to practice yoga in daily life, it is crucial to know the basics of this sacred knowledge. All the topics covered in the 200 Hour Yoga Teacher Training program, like meditation, asanas, and pranayama, are based on the course content recommended by Yoga Alliance, also including teaching methodologies, anatomy, and philosophy. 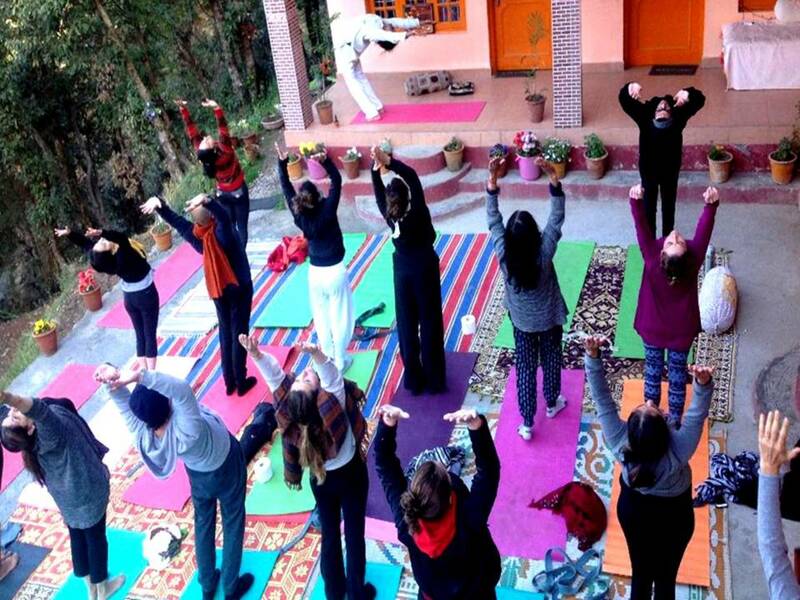 Om yoga Ashram trains the students with personal attention. He covers all the theoretical aspects of yoga along with the practice. Personal attention given by the masters makes it a transformative experience for the student and remains so throughout life. Swami Dr.Rashpal instructs in 5 different types of yoga: Hatha yoga, Sivananda yoga, Ashtanga yoga, Kundalini yoga, Mantra yoga. 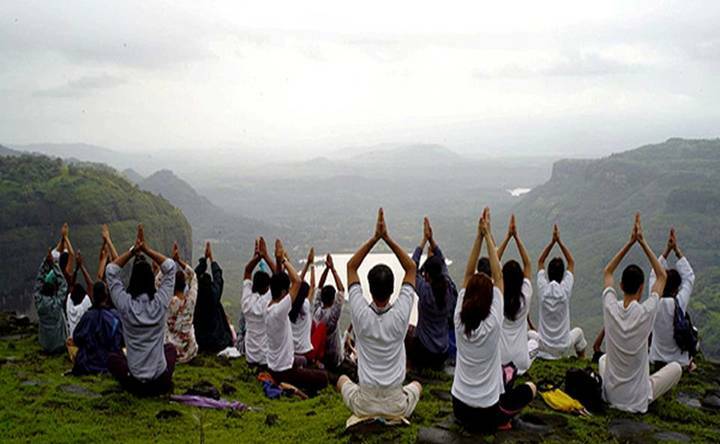 He also organizes and delivers many other aspects of the Yoga Teacher Training program. 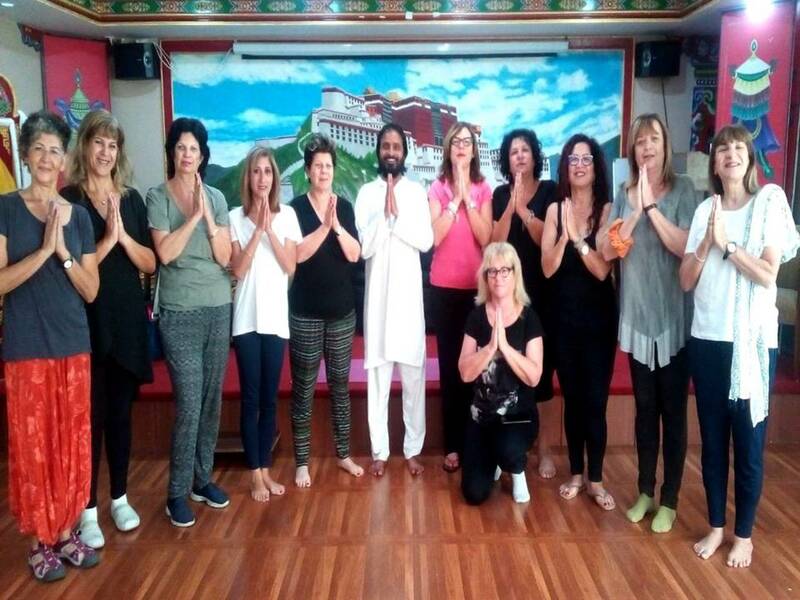 Swami Rashpal travels all over India and throughout the world with the aim of increasing the knowledge of yoga, spirituality, love, peace, happiness, health and harmony to everyone. 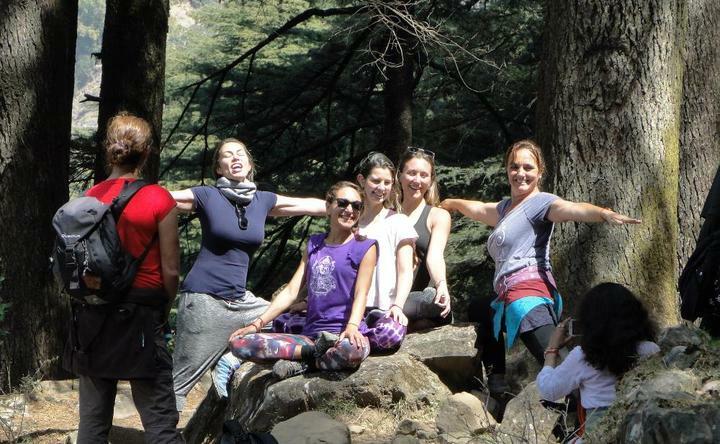 The Yoga Teacher Training program is based in Dharamsala. Increase your physical fitness and general health. Nourish the body with a traditional yogic diet prepared with nutritional vegetarian foods. Gain clarity for better mental health and thereby, increase the overall growth of the mind, body, and soul. Experience spiritual growth and development. Be given opportunities to discover the true self and synchronicity with universal truths. Spread happiness and pleasure in your life and in the lives of others. Increase energy and enthusiasm in your daily life. 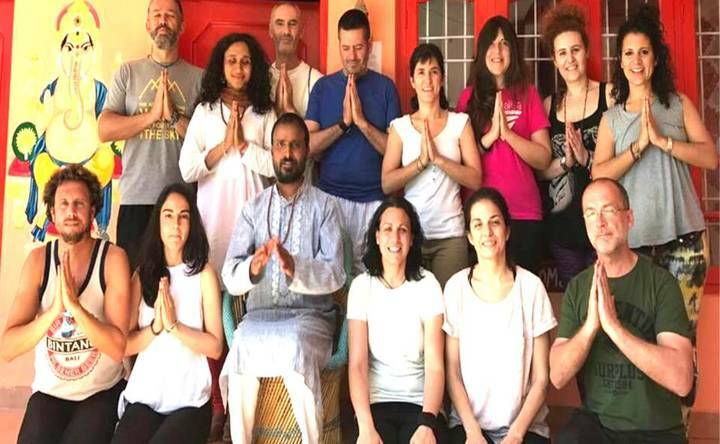 By the end of the Yoga Teacher Training course, you will be a Certified Yoga Teacher by Yoga Alliance and be able to extend the gift of yoga to others through your new found knowledge and practice. The 200-hour program follows a tight schedule where almost each of the 6 to 7 training hours in the day are assigned to some aspect of yoga. You could find the training intensive but enlightening. Depending on the yoga Ashram in the mornings can begin as early as 5:30 a.m. with meditation followed by some yoga postures and maybe some classes or lectures in philosophy or anatomy. Chanting and pranayama are also part of the schedule. During training, you are provided with two to three yoga meals, fruit refreshments, and green tea. Daily written homework is also the norm as that is how you will gain in-depth knowledge of the subject. Sleeping early is encouraged as that is part of yogic practice. 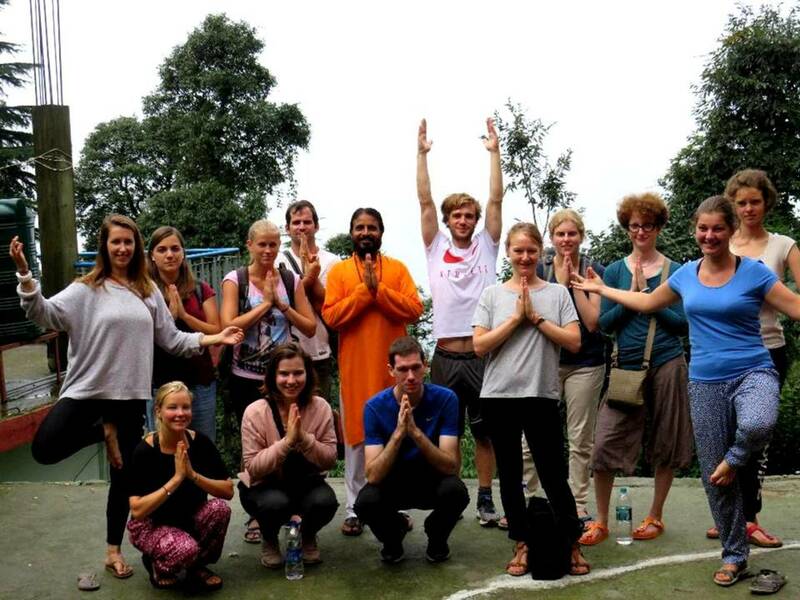 OM Ashram is an especially beautiful ashram in the Himalaya Valley just north of Dharamsala, H.P. India. 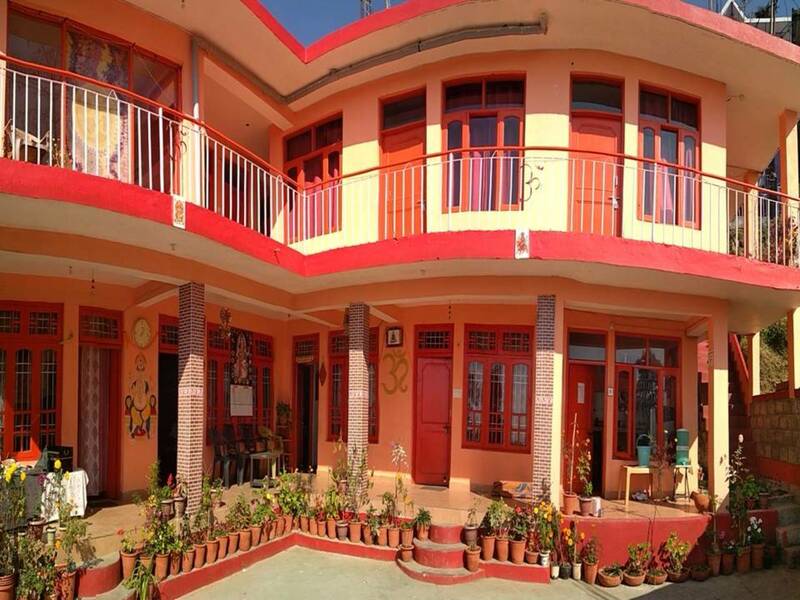 It is tucked into the hillside near Dal Lake 2 km from the quaint international epicenter of McLeod Ganj, where the main Temple of H.H. the Dalai Lama attracts people from all over the world. The OM Ashram is surrounded by the magnificent beauty of nature with green rolling hills, majestic trees, and an adjacent stream. Magnificent views over Dal Lake and the Kangra Valley complete the experience. This setting offers a peaceful and inspiring place to learn and practice yoga. The sound of the river and birds singing, with the sun shining through green leaves allows one to retreat from worldly cares and go deeper into the study and practice of yoga and meditation. 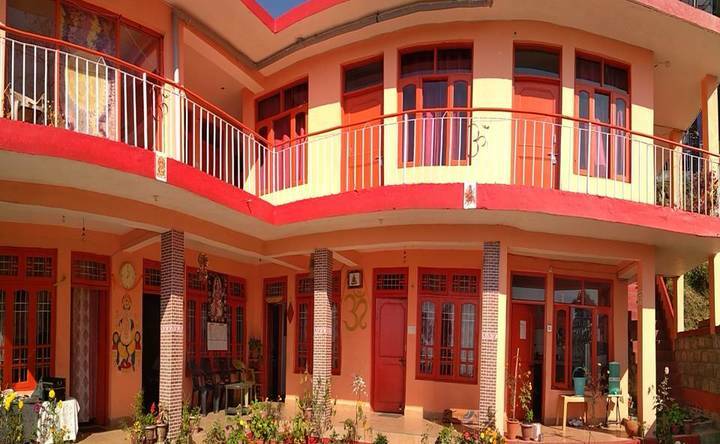 Although OM Ashram offers an opportunity to retreat, it also provides all modern amenities including wi-fi. After productive, full days immersed in all aspects of comprehensive, spiritual yoga, evenings will be relaxing, fun and enriching. Together, everyone will enjoy kirtan, singing Bhajans around the natural wood fire sipping hot masala chai. Stories of the Hindu deities will be shared for a deeper understanding of yoga. There will be a chance for open discussion of yoga and it's beneficial influence around the world. 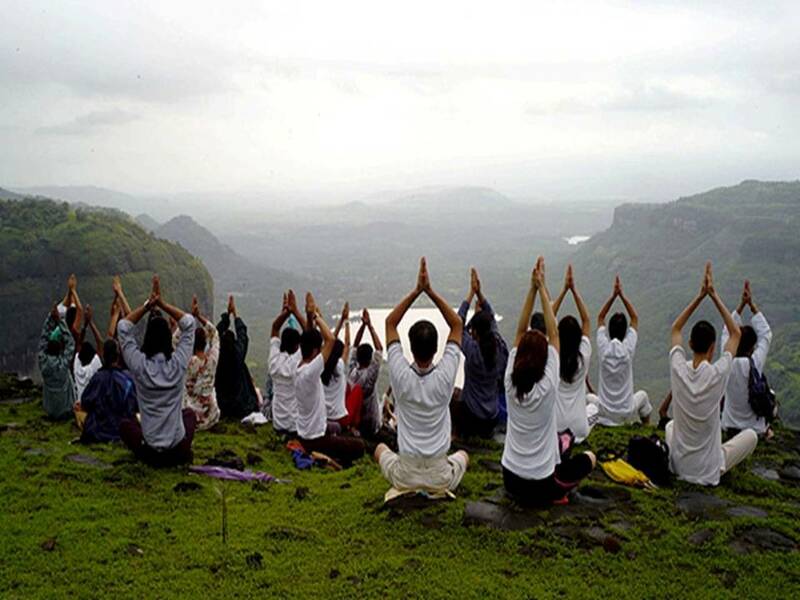 In addition to the yoga meditation retreat at the Ashram, there will be opportunities for fun outings to temples, trekking and shopping destinations. There will be many daily asana practice times including study of pranayama, chanting of mantras and meditation. 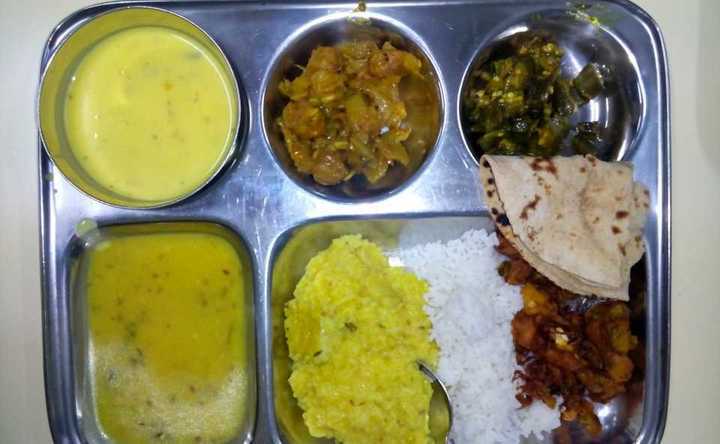 Delicious, pure vegetarian meals will be provided. This will be a very wonderful and special yoga and meditation experience, led by the very experienced and inspiring teacher "Om" Rashpal Singh and his family. Participants will have an opportunity for self-rejuvenation and healing, and experience a deeper understanding of themselves and yogic life. Hopefully, YOU will be able to attend this life-enriching experience of yoga and learn the benefits of yoga at the brand OM Ashram! 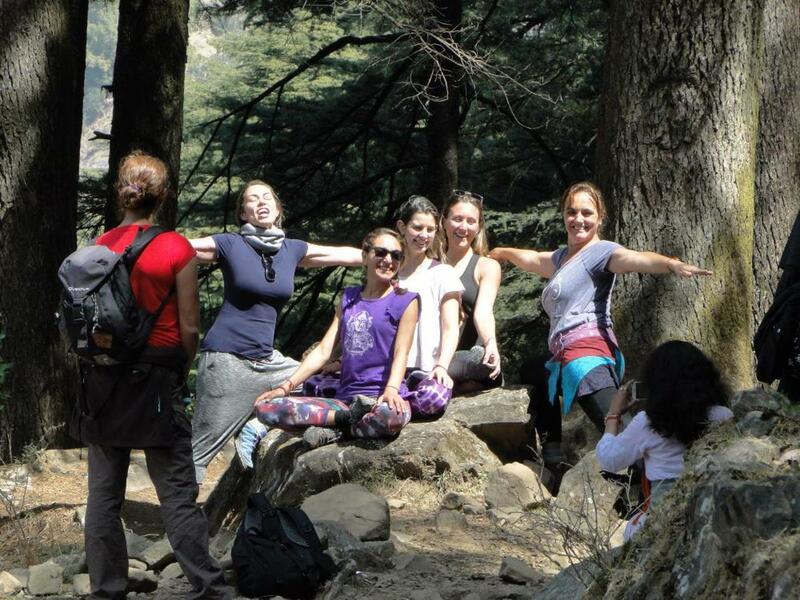 There are many ways to get to our Yoga Ashram in Dharamsala. You can come by flight, bus, train or taxi. However, we recommend taking a flight. The closest airport to Dal Lake Mcleodganj is Gagal airport. From your country to Delhi you can book a flight. Then book a domestic flight from Delhi to Dharamsala. It’s a short (45 minutes) and easy flight and will not cost you much. At Gagal airport we can arrange a taxi pick up for you which will cost you around 900 INR. The drive from Gagal airport to our yoga Ashram is only 35 minutes. We do not provide a taxi pick up from Delhi or Dharamsala. The Om Ashram is surrounded by magnificent beauty of nature with green rolling hills, majestic trees and a river running behind the ashram. This setting offers a peaceful and inspiring place to learn and practice yoga. The sound of the river and birds singing, with the sun shining through green leaves allows one to retreat from worldly cares and go deeper into one's study and practice of Yoga & meditation. Although Om Ashram offers and opportunity to retreat, it also provides all modern amenities including wi-fi.The next retreat at Om Ashram will take place. There will be many daily asanas practice times including study of pranayama, chanting of mantras and meditation. 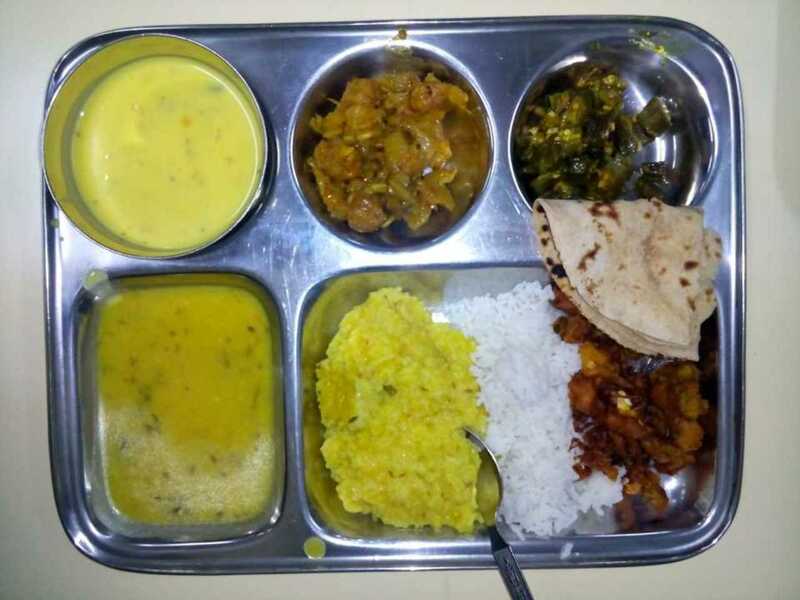 All meals will be provided of delicious pure vegetarian cuisine. After productive, full days immersed in all aspects of comprehensive, spiritual yoga ~ evenings will be relaxing, fun and enriching. 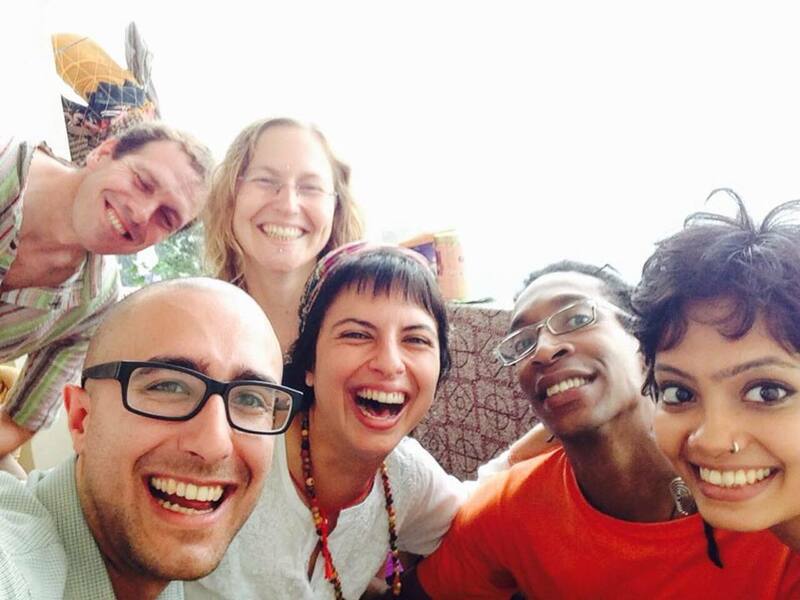 Together, everyone will enjoy kirtan, singing Bhajans around the natural wood fire sipping hot masala chai. Stories of the Hindu Deities. will be shared for a deeper understanding of Yoga. There will be a chance for open discussion of yoga and it's beneficial influence around the world.In addition to the Yoga,meditation Retreat at the Ashram, there will be interesting and fun outings to other places of interest including temples, trekking and shopping.This will be a very wonderful and special experience of Yoga & meditation led by the very experienced and inspiring teacher "Om" Rashpal Singh and his family.Participants will have an opportunity for self rejuvenation and healing, a deeper experience of them self and yogic life and the benefit of Yoga in their life. Hopefully You will be able to attend this life enriching experience of Yoga and the benefits of Yoga at the brand Om Ashram! Yogi Rashpal Ji is deeply passionate, Professional yoga teacher. The journey of yoga-life started at a very young age. After completing the studies, he has incorporated yoga and meditation into the lifestyle. He has been teaching yoga and meditation regularly since 2001. Mr. Yogi is a perfectionist in different yoga style- Hatha, Ashtanga Furthermore meditation, Pranayama, Reiki as well. even Swami Rashpal has traveled throughout India and trained people for yoga and Naturopathy. He has provided teachers training outside India also. Now He has kept continue to pass on the knowledge he has learned, to people from all walks of life. Swami Shiva Shuta Gouri Bhakta is a great Yoga, spiritual teacher, & meditater, at Om Yoga Ashram. He has deep knowledge of Ramayan, Bhagavad Gita, Upanishad, Vedas, Vedanta & Patanjali Yoga Sutras. His whole life is dedicated to exploring Ancient yoga education, meditation, and spirituality across the world. 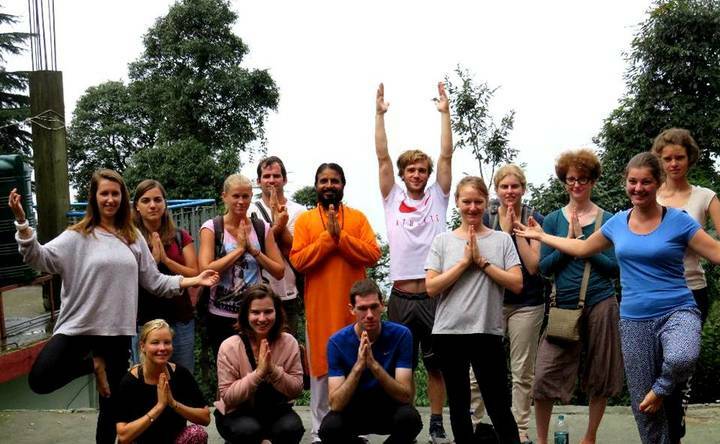 He is spreading yoga in many countries India, Nepal, Malasia, & China. 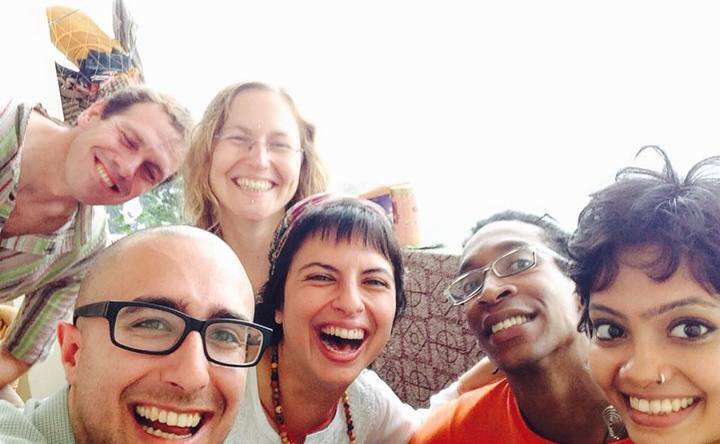 The Anatomy' teacher of Yoga teacher training course at the ashram. He has held the MPT( sports medicine ) from Dehradun (SBS PGI), Certified -Pilates trainer(MK) Reiki therapist, sports taping, Dry needling therapist. He worked as sports Physiotherapist at various sports events and Presently working as state physiotherapist for Himachal Pradesh karate Association also. Mr. Amrit is teaching yoga last 5th years. His lessons are well received by his students. Krishna yogi was started his yoga journey in 2012. He is Inspired to guru Acharya Satyavati. He won Silver and Gold medal at both the state and national level in yoga contests. Mr. Krishna is very young, energetic, smart yoga Instructor at Om Yoga Ashram.